Place the fresno pepper, onion and garlic in a food processor and pulse until nearly pureed (alternatively, chop them by hand as fine as possible). Combine all ingredients, except sauce, in the bowl of a stand mixer. Using the paddle attachment, mix on medium for about 1 minute. The mixture should be tacky and hold together. Preheat your Yoder Smokers YS640 Pellet Smoker to 225ºF. 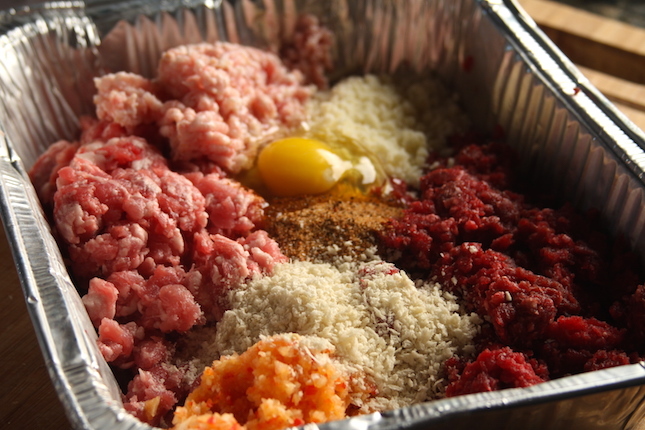 Form the meat mixture into 1.5" balls. 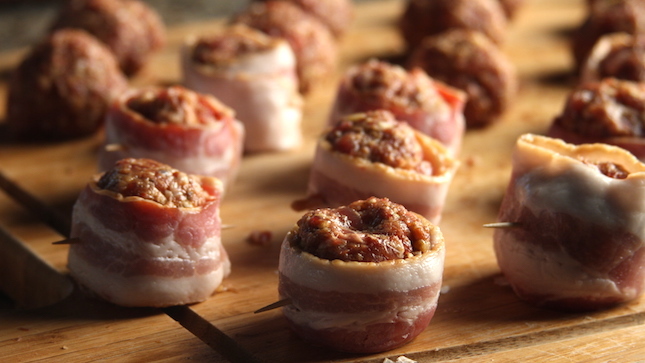 Wrap each ball with half a slice of bacon. Pin it with a toothpick. Smoke at 225ºF until meatballs reach internal temperature of 160ºF, about 45-60 minutes. Check the temperature with an instant read thermometer like the Maverick PT-100 . 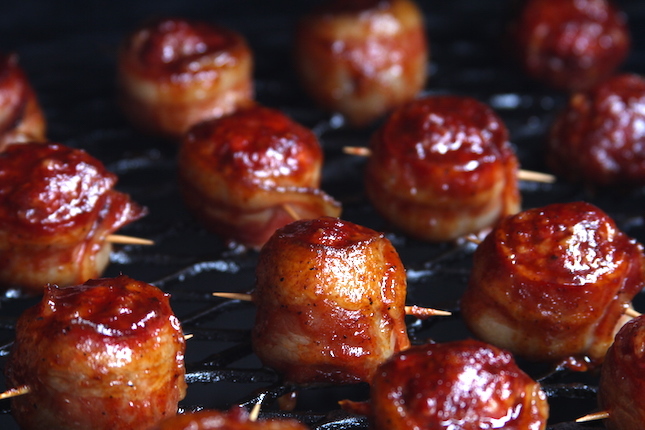 With the moink balls on the top shelf, place a sheet pan on the bottom shelf, then brush the moink balls with Eat Barbecue The Next Big Thing Barbecue Sauce. Remove the pan used to catch the excess sauce. Continue cooking another 10-15 minutes, then remove moink balls from cooker.